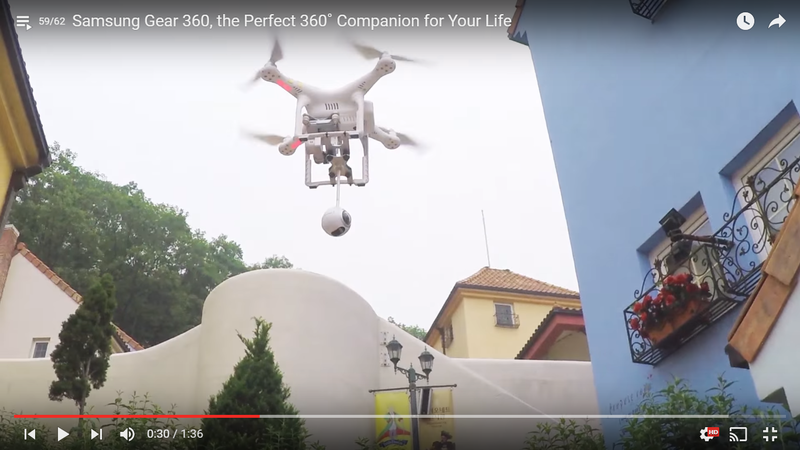 One exciting way to use a 360-degree camera is to use it for aerial 360 videos. On one hand, if you have a 3DR Solo drone and you have the Kodak SP360 4k dual pro ($899), there is a ready-made bracket (and software) to allow you to capture aerial 360-degree videos with ease. However, it is also possible to use another 360-degree camera, such as the Samsung Gear 360 ($350 to $400), with a drone. Here are three examples. Although a Samsung Gear 360 was used in these videos, theoretically it could be used with any other 360 camera with similar weight and a standard 1/4-20 tripod attachment. 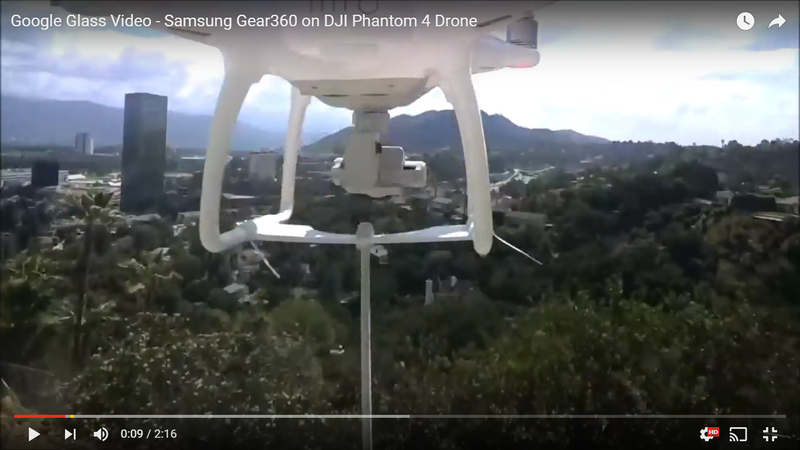 They mounted the Gear 360 to the Phantom 3 using what appears to be a custom bracket with a camera mount for a drone (which has rubber dampeners) a rod that attaches to the Gear 360’s tripod mount. HERE is the resulting video. In this third example, Drone by Drone used a custom 3D-printed attachment to mount a Samsung Gear 360 to a DJI Inspire 1, a professional-grade quadcopter. 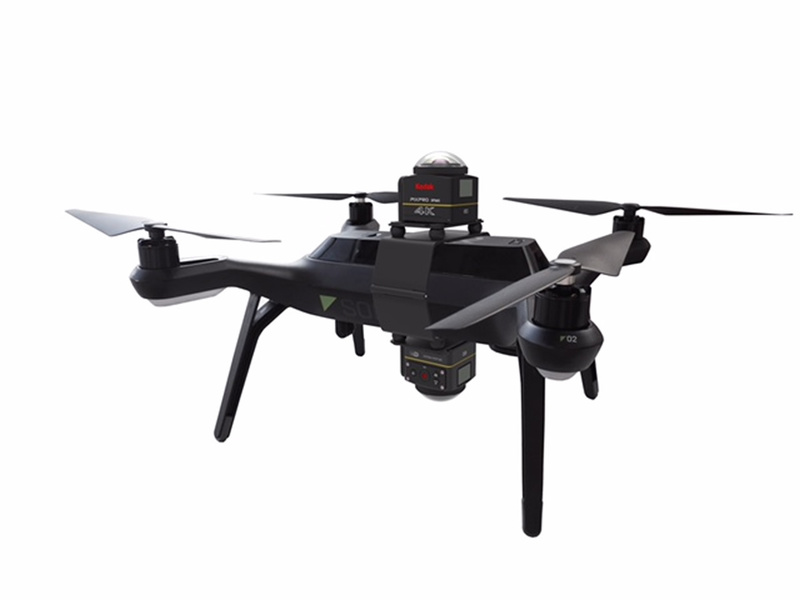 The Inspire 1 has a removable camera assembly. Removing the Inspire 1’s camera lightens the payload and at the same time, facilitates attaching the Samsung Gear 360 using the custom attachment. Another cool feature of the Inspire 1 is the retractable landing gear, which gives the Gear 360 a more unobstructed view. Here is Drone by Drone explaining the setup. 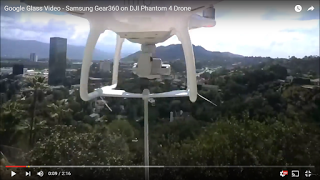 Remarkably, Drone by Drone said they continued to be able to see from the drone’s point of view because their Samsung Galaxy S7 maintained a live view connection with the Gear 360 up to 250 meters (820 feet) away! If you’ve used your 360-degree camera with a drone, please share with us how you set it up! Hi Maurice! Congratulations! Thanks for sharing! Love this! Does anyone have any info on where it isn't possible to get the/similar adapters for the DJI Inspire mount to hold a 360 rig – like the example above has? Does anywhere actually make and sell something like this! ?